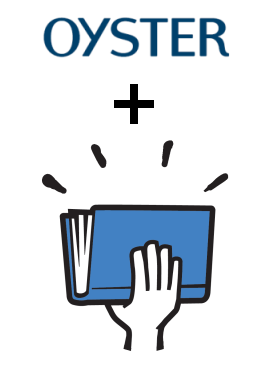 Smashwords today announced a distribution agreement with Oyster, a new and innovative ebook subscription service. Oyster offers consumers unlimited access to more than 100,000 ebooks for $9.95 per month. I’ve been following the ebook subscription space for some time. As an ebook distributor, our job is to search out the most compelling opportunities to help our authors connect with reader eyeballs. Oyster is one such opportunity. The closest analog to Oyster in the music business is Spotify, and in the video rental business it’s our Los Gatos neighbor NetFlix. The closest, most familiar analog to Oyster on the ebook market today is Amazon’s Kindle Owners Lending Library, where subscribers to Amazon’s Prime service who own a Kindle can download and read one ebook for free per month. The author or publisher, who must enroll their book in Amazon’s KDP Select program to benefit from KOLL, earns about $2.00 for each download. app with social reading features. Oyster formally launched today with its iPhone app, which users can download from Apple’s App Store. From what I’ve seen of it, the app is elegantly designed. It incorporates social reading features that allow readers to follow and friend fellow readers and see what their friends are reading or have read. The app will be available on other platforms in the future. Oyster has impressive backers drawn from Silicon Valley and New York. Back in October, they announced $3 million in funding led by Peter Thiel’s Founders Fund. The round also included Shari Redstone’s Advancit Capital, Chris Dixon and Sam Altman. Smashwords authors don’t need to do anything to enjoy Oyster distribution other than ensure their books are Premium Catalog-approved. If you’re not yet publishing and distributing with Smashwords, click here to get started today. Smashwords keeps getting better and better for indie authors. I recently had a Twitter with a bunch of indie authors enrolled in Amazon Select. They were complaining that their sales numbers have tapered off over the last year for no reason. I noticed the same thing with my Amazon sales numbers, but everyone was surprised that my Smashwords sales numbers kept growing. Call me a cynic, but isn't this just another site that's going to cheapen the book market? If a consumer can download as many books as they want for $9.95, why would anyone pay full price for a book anywhere else? This equates to the author receiving way less money per download than they would normally receive. It's exactly the reason why sales have tanked considerably on Kindle. As soon as Select was introduced in December 2011, my Kindle sales immediately started to plummet and it's been that way ever since. The impact was obvious and instant. Regarding the Oyster site: Say, for example, and author had 10 books for sale priced at $5, perhaps making an average royalty of $3 per sale. If that author sold 10 books at $5, the author would receive a total of $30. How much will that author receive in total royalties selling those same 10 books on Oyster? 50 cents? One dollar? If it's only costing the consumer $9.95/month, then the author could only really hope to get about half that for his/her 10 sales. That's a lot less than $30 for full-price sales. It's already getting really tough to keep making a living out of this with so many free books out there and full-length books priced at 99 cents. All I can see with a concept like Oyster (while great for the consumer) is the value per sale dwindling even more. Show me where I'm wrong if I'm wrong, but I just can't see how concepts like these can in any way improve the 'individual author's' bottom line. First off, it's coming. Just like the music industry had to adjust to iTunes, so we authors will have to adjust to Oyster. Of course Oyster may fail. Next there is probably a limit on books. As many as you want, but one at a time for instance. We will have to wait to see details, But an average reader probably opens just a couple of books a month, that should leave plenty of profit. My sales at Amazon crashed also, I think it may be due to the fact I didn't join Select. We could both be wrong or right. Perhaps it's just that Apple and Android are getting a higher percentage of sales. It may be something else. Amazon won't tell us. Reality says though that subscription models will come. Take comfort in Mark's latest statistics that show $3.99 books performed as well as $2.99 books and better than $1.99 books. If we write so our works are not a commodity, we can sell at our personal best price point. I imagine some will enable Oyster for series starters, and price other elements. Darren, this is first time we announced a new channel without articulating the compensation details up front. I wouldn't have signed this deal if I didn't think it was author-friendly. When I send out the details in a few weeks, if you're not sufficiently impressed you can decide if you want in or not. I think you'll want in. When Amazon launched KDP Select, it changed the dynamics of their store. Authors who participated in KDPS were given preferential discovery tools, which disadvantaged the non-participants. It's also fair to say the market has become more competitive over the last few years. There's been an explosion of indie ebooks, and authors are learning to become much more professional with all aspects of writing, packaging and marketing. The level of competition in the sub $4.00 price points has increased. Thank you, Mark, for thinking up another innovative way for us indies to be seen and read. I applaud your insight. And as for Amazon and Select, I enrolled one book when I first started publishing and it did nothing for me. However, now that I've been on Smashwords with my other 3 novels and 4 novellas, I've seen my sales significantly grow across 4 other channels. Thank you thank you thank you for thinking of us first. You are right, it can't be stopped. It's the modern age. Oyster (and others like it that are bound to mushroom up out of the darkness) will be the real financial winners with this 'subscription' concept. They don't care how many downloads of books there are or what cut the author or distributor receive. They make their money selling subscriptions. It's the same motivation behind Amazon's Kindle Select program. The driver of that idea is selling Prime Memberships, not selling books. Oyster isn't really comparable to iTunes. iTunes sells individual tracks and albums, not a subscription service where you can download 10,000 songs a month for $10. Maybe you're right. Perhaps there will be some sort of limit on the downloads, but if it's anything like stock photography sites (where I sell some images), once you purchase a subscription you a free to download as many photos as you like. If that's the case with something like Oyster, I, as a consumer, could pay my $9.95 for one month's subscription, download 500 ebooks and have enough material to read a new book every week for the next 10 years! All for under 10 bucks! Now, unless authors just love writing for the hell of it and don't need to eat or pay the rent, that's fine. I've read countless posts in the Kindle forums where writers love giving their books away for free just because they're happy someone might be reading their material. They don't care about making any money. You have enough of those people flooding the market (which they already are), and pretty soon no one will be making any money. Those who are serious about the trade and business-minded will no longer bother with it. I currently spend at least 60 hours a week in front of my computer writing. I don't plan on doing that for nothing. I think this is a great expansion for Smashwords. Looking at the materials available for Oyster, it appears that subscribers will have unlimited access to as many books as they want each month. But they don't own them, they're just borrowing them to read. They are only available through the Oyster app, and only as long as they are offering the book. It's like Netflix for books. This wouldn't really target book buyers so much as book borrowers, so authors aren't losing book sales, they're gaining exposure to readers who might not read them unless the book was free to download. Well, I sincerely hope everyone else is right about this and I'm wrong. Yes, as authors we all want exposure, but at what cost? At any given time there are approximately 1.2 million free eBooks on Amazon alone available for download. And that figure is growing exponentially across all e-retailers on a daily basis. I receive promotional emails from Kobo, boasting how they now have over 1 million free eBooks on their store. Not sure what their motivation was for sending out that bit of information, but that's what they did. I don't see how any of this adds up to more money for the lowly author. In 2011 I was making 10 times the amount of revenue I'm making today, even though I have nearly 3 times the amount of material out in the marketplace in 2013 compared to 2011. But like I said, I'd be happy to be proven wrong on this one as that would equate to success for myself and every other author out there. We need to put things in perspective. When Netflix came onto the scene with unlimited online streaming, content producers freaked out. "It will kill paid television (i.e. cable and premium channels like HBO)!" Of course, that hasn't happened and does not appear likely to in the near future. In reality, Netflix was a step up from free online streaming and Redbox. Netflix has been a great avenue for both consumers who want choice and producers who want distribution. You may not get the same amount of per unit revenue but you are casting a much wider net. Obviously we have not seen the full details for this deal yet but the potential is there for great things to happen. I'm optimistic. Finances aside, I see this as an opportunity to increase visibility. And if I only opt in with series starters, there really is no downside. If the finance side of it is as good as Amazon's was for lending, though (royalties almost equivalent to sales) I could see opt ins for all eight of them. This is fantastic news! Love the innovation. @swappster: Dude, if Smashwords distributes to Google Play in a way that protects our control over pricing, that would be the holy grail. Will I be able to put short stories on Oyster? This may be a good thing, or not. I'm willing to learn more. What I'm not willing is to have my books opted in automatically for something that I don't know anything about yet. If I wasn't a regular reader of Kboards, I wouldn't have known that Smashwords had signed me up without my permission. In the process of opting out (maybe temporarily) I discovered that I'd also been opted in to another site I've never heard of and know nothing about. Smashwords needs to stop doing this! First of all, regardless of whether or not we opt in, this is still coming. Either we take advantage of it or we don't. If we don't, then readers are going to be getting someone else's books on Oyster instead of ours. This is my biggest fear...will Amazon consider our books as "free" on the Oyster site and discount our books to free on the Amazon site? This would be the deciding factor for me. Amazing how quickly lines of distribution keep opening on a global level. Lucky for us, English is the most common non-native language in the world. Thank you, Mark and Smashwords! without a doubt, Smashwords is getting better day by day . I am barely making any progress on Amazon Smashwords definitely is making the future for us indie authors and I am so proud to be one of the proud Indie author. Inclusion In Oyster will definitely be a big milestone in making our presence known in the publishing world. Thank you Mark for such a wonderful step. Very curious to see how this plays out. I like the notion more as a writer than as a reader...I read an awful lot, but the chances that they have $10 worth of stuff I want to read every month ain't so great. At least for now. Plus I don't use iGadgets. So on the writer side: I wonder whether the royalties will take the ebook sale price into account. I'm sure Smashwords will allow some form of opt-in or opt-out, but will they be set up for separate pricing (as they currently are for libraries)? Some of us use freebies to get people interested in our stuff. And right now I'm kinda creating an avalanche of 'em (or maybe my very own tsunami). But I see no advantage to distributing freebies to Oyster--as freebies. 'Specially since I'm trying to use the free stuff as a lure for my blog and mailing lists anyway. Will Oyster's book recommendations take the cost (to Oyster) of the books into account? 'Cause that's clearly to their advantage and an argument for including freebies. But readers might not like it. OTOH all my stuff's free for libraries if they want it. So...hmm. There'd be lots to think about if we had more info. Good conversation. I've got to weigh in here as someone who works full time with new authors trying to grow a career from scratch. We are following in the footsteps of the music industry, we WILL be seeing sharing sites like this -- those that pay royalties and those that do not. While the price per read may not be huge, on the other hand, if you are a new writer with zero name recognition, you are taking your book from the huge ocean of new books that exists and adding it to a much smaller sea routinely browsed by hungry readers. You are gaining critical exposure to people who can become loyal fans, and who, hopefully, will spread the word via their social media connections about how wonderful your books are. The people who heed that advice may well buy your books rather than borrow them. Never underestimate the value of exposing your book to enthusiastic new fans who may happily promote your work to friends! and liked the (excerpt) comment,from lauralynnelliott.com : "...will Amazon consider our books as 'free' on the Oyster site and discount our books to free on the Amazon site? This would be the deciding factor for me." @Brock The majority of my ebooks are short stories, flash stories or essays. All priced at $0.99 for the impulse buyer. The nice thing about Oyster should be no asinine reviews from (*cough* Amazon *cough*) readers complaining about spending a buck on something less than full-length ebook. SHORT ebooks should do just fine for Oyster. Great news, Mark, but it's a shame you don't use the leverage of a 250K strong library more. I would've liked to see you require Oyster to commit to expanding beyond iOS, as right now they say they have "no concrete plans" for even Android. If that's the best they're willing to do, then I hope another player will emerge in the subscription market who's committed to doing better. While e-book subscriptions may be a step forward, device lock-in is an old story we need to move beyond. I'm also curious about how the subscription service will affect our pricing and Amazon's quick jump to lower our prices any time they see fit. They've put my book on sale when I haven't lowered my price anywhere; I can't control what readers resell my book for and Amazon shouldn't be able to lower the price and thereby my royalty just because someone bought a copy and decided to resell after reading. That's a soapbox for another day and place. I'm curious, though, if Oyster will be able to control downloads of our books from their site; since we're DRM free over here on Smashwords, will people borrowing us be able to steal us as well? I've posed this question in email to Oyster for clarification from their end as well. I'll be waiting for the full details to roll out before I make my decision. We can't stop progress, but we can get our facts straight and make the most of it from whatever point we're sitting on... whether it be buying the groceries or just padding the shoe budget. I think it's unlikely Amazon would price match against this, in the same way other retailers don't price match against Amazon for their KOLL feature. Oyster subscribers are paying for the service. If anyone's concerned, it's a fair question to email Amazon's support team. Speaking of DRM...sounds to me as if Oyster may be creating/enforcing it. If so, I won't participate in their scheme on any level. I've always thought a DRM-free book landscape was something Smashwords valued too. So I hope I didn't get opted in to a DRM scheme, 'cause that'd be a deal-breaker for my business relationship with Smashwords too. Wow! Smashwords has done it again. Looking good! Thanks! I love this idea!! I believe it will put my books in front of an audience that would not normally see (or look for) my books. Hello all. Read a bunch of user replies up to now. @DavidHaywoodYoung has got me wondering about everyone's take on DRM free. Like, come on here--can we do something about this? Websites like Oyster are HERE to demonstrate the issues Amazon poses. Keep a close watch on what Amazon ISN'T doing for you, people. I'm serious. A subscription concept works so long as Oyster ain't taking the 'lion's share' of any kind of revenue coming down the pike. In fact, I'd say it's RIGHT about time to start looking at concepts and set writers up with a standard minimal fee for their writer services. It amazes how this is continuously overlooked. People, you don't HAVE a business WITHOUT our content. Pay the piper what he needs to play you new tunes, huh? Offering ONE book as an entree to your book universe? Good idea. But you still need a place to 'sell' your other books. Where is that and why is everyone making more money than the writer, hm? Thanks, Mark. Good strategic move, I think. Someone mentioned that Oyster is comparative to Netflix and said that Netflix hasn't hurt the cable tv industry...well...I'm here to tell you it HAS hurt the cable tv industry. I work for a major cable tv provider and it's the #1 thing that has made us spiral. So...that said, I don't know what to think of Oyster. I'll have to see details. Until then, I'll keep writing every morning before work and hope that I won't be robbed the income from my books with Oyster and other elibraries. C.D Reimer, I wouldn't mind subscribing to your blog, if you had comtact info anywhere. Like most marketplace changes, Oyster is probably not inherently good or bad. Whether it helps an individual writer will probably depend on how he or she uses it. One obviously smart way to use it would be place the first in a series into Oyster in the hopes that, reading it there would attract people who'd buy later volumes. I'd also be interested in hearing what Mark has to say about how attractive books look in this app. My latest includes a beautiful picture with each chapter. Apple does good work. The iBooks version looks great on an iPad. Amazon is more doubtful. That on the iPad's Kindle app looks dreadful, with the pictures reduced to the size of commemorative stamps. I'm hoping this emphasis at Oyster on starting with the iPhone, moving to the iPad and not promising support of Android means that they're taking particularly care with their apps. Amazon's problem is that, with apps on so many platforms, there's little consistency between them. That book whose pictures look so dreadful on my iPad actually looks quite good in B&W on my Kindle 3. You can subscribe via FeedBurner. If you're against DRM as I am, you should opt out of Sony as well. All Smashwords titles at Sony are DRM encumbered. Used to be the same situation at Kobo too, until I bugged Kobo customer service enough that they finally reached out to Mark and got things fixed together. Why Smashwords didn't take the initiative on that, I do not know. Sony has just ignored my emails altogether. As has Smashwords customer service when I've reached out to them on the Sony DRM matter through their contact form. I wouldn't mind so much if the distribution page would clearly label Sony as DRM-encumbered, so that everyone can make an informed decision. As far as library loans and subscription services go, DRM may be a necessary evil, but I don't believe it should ever be foisted on a customer paying full price. Love seeing so many great things coming down the pipeline at Smashwords, but we still have a ways to go on some long-outstanding issues. Replying to myself directly above, I'm not convinced DRM is essential for library loans and subscription services, but I concede there's more of an argument for it than on direct purchases. @Michael - thanks for the heads-up about Sony. I'll look into it. Because yes, I have what seem to me to be fairly serious ethical/moral problems with current intellectual property laws & their enforcement. Plus I think DRM is a dumb business decision all 'round...but mostly I just want no part of it. I don't at all insist that anyone agree with me on any point. But if Smashwords is currently sending my stuff to places that impose DRM, I may be leaving Smashwords entirely. Up till now I've liked the company, but I don't see this as a small issue. OTOH I now see the Smashwords FAQ spelling out that DRM is applied to library books. I agree some people may see a better argument there, but for a book intended by the copyright holder to be free I don't think it holds up. Still...the info was there for me to read. So I have some culpability in this too, and I need to make some decisions. Fun. I was pretty excited about Oyster (I'm a Spotify subscriber and Netflix subscriber already, so why not?) until I saw that it was IOS exclusive. Wow. I'll never use it! Mark, if you could pass my two cents on to them, maybe they'll consider becoming less exclusive? Maybe they're apple fanboyz and don't care. And the DRM issue is a big one for me. Mark, are you working on the Sony thing? I don't want to pull my books from Sony, it would simply punish the readers there, but I hope Smashwords is working on it. The evolution of books is the story of moving from scarcity to abundance. From hand-written on sheep skin to companies publishing a few titles they think are quality, to a flood of ebooks. Think of how many blogs are out there - most never intended to make money. Is publishing an ebook similar to publishing a blog? Maybe the future lies in review sites? Or, maybe subscription sites will take over the role of old-style paper publishers in screening for quality? What do people think Amazon is doing to us with their KDP Select 'jail?' Uh-huh ... it's a subscription service. How many of you saw serious 'borrows' versus sales? How many of those 'borrows' were because you drove traffic to Amazon's website with your own out-of-pocket advertisement? Of those, how many were people who had already decided to buy a Book 2 of your series and would have bought it anyways, but they're Prime subscribers so they borrowed it instead? I'm sure there are things we'll all need to watch out for, perhaps some books and not others we need to opt in or out based on how well our conversion rate is from the freebies, but whether or not we like it, subscription services are already HERE. Thanks, Mark, for an intriguing new distribution platform! Information, please, so we all can make some informed decisions? "Zoe Keating, an independent musician from Northern California, provided an unusually detailed case in point...she revealed the royalties she gets from various services, down to the ten-thousandth of a cent." As a publisher I'm very leery of this plan, but I'lll wait to decided when I see the complete details and discuss it with my network of publishers. One thing I should point out to Sarah M, and maybe others, ebooks are not "sold", you the buyer do not own them. They do not meet the first sale doctrine. If you want more information about this try googling first sale doctrine, or check out passive guys website he is an IP attorney who explains the term in detail. If an activity is presented to me as an option, my choice should be to participate rather than not to participate. I agree with @cdreimer, Oyster will be a boon for short fiction. While we're lacking details at the moment, I doubt that it would be possible to download a bunch of books and then quit - no subscription service is going to make that a possibility if they can help because that is money lost for them and bad business practice. I have Netflix and if I don;t pay my netflix subscription my movies won't load. The movies are never in a format where I can save them, the same with Slacker, a subscription music service I pay for. When my membership lapsed I went back to "free" and the playlists i had "cached" on my phone no longer work because my slacker account is not paid up. It's fair to assume Oyster will do something like this too. They aren't going to want people to have a way to save the items permanently or else they are eliminating themselves. And if that's the case then they'll tank very quickly and again it will be a non issue. As a big user of subscription services (if you can tell, LOL!) I find this quite interesting. I'm a lifelong library user. Services like Netflix and Oyster are made for people like me, who will borrow borrow borrow till we find a series/author we like, and then we'll put down cold hard cash to own every single title from that series/author. Nearly every author whose book I've bought new is someone I encountered first at the library. That's my take on Oyster as a reader. As an author, I'll be interested to see what impact subscription models have on the e-book industry. At any rate, thank you to Smashwords for giving us more distribution options. Thank you, Mark Coker, for always being on the leading edge. I'm hopeful about the possibilities Oyster offers, but have to confess, I confess I don't understand your decision to wait until 72 hours prior to shipping in order to announce these "author friendly" terms, especially when one considers that all our books were automatically opted in. Mark - Count me in!!! I want to voice my excitement about this new partnership with Oyster. I have seen the benefit of people being able to borrow and share my book through the physical copies I have donated to libraries - resulting in sales spikes of ebooks. I see huge promise in taking this to a bigger scale - bigger audience, more buzz, more promotion, more sales. Quick testimonial - I have followed up on distribution of my book on every channel that partners with Smashwords and the results have been consistently positive. The broad international distribution profile circularizes promotion. I'll be leaving the radio button under "Oyster" on the "distribute" setting! Dave, the reason is that Oyster requested the disclosure delay. There's no benefit to authors, but there's no harm either. Authors can opt out until they have received the information. For me, this is just another way to become 'visible' in the overwhelming world of ebooks. Oyster is definitely NOT like Netflix. I am a long time filmmaker and television producer and had gotten healthy royalties from DVD sales of my films until the DVD market tanked in 2007-2008. What many folks do not know about the Netflix model is that they "buy" or license a show ONCE and resell it thousands and thousands of times over and the producer does not see a penny - nothing. In recent years I held my films back from Netflix in favor of Hulu and Hulu should really be more the model for a book subscription site. Producers who have their shows and films on Hulu share in the ad revenue as well as the subscription fees of the users and receive 50% of the gross revenue of sales aka "views" of their programs or films. I don't know all the details of Oyster but at least the author is being compensated for people actually reading their book. Imagine if it were a model like Netflix where Oyster paid you said $50 and lent the book out thousands of times. On the DRM front, I asked Smashwords support about the issue last week. No reply yet. Not looking good--normally I'd be publishing a new story tomorrow, but I may end up pulling all my stuff instead. A shame, 'cause I've always liked the company till now. David, Oyster is a closed reading environment, so it's fair to call that a form of DRM, just as library ebook checkout systems use DRM. For anyone who's followed us since the beginning, I've always spoken out against DRM and worked to educate readers and authors about its harm. The Smashwords store has always been DRM-free. In instances where we signed on retailers who only supported DRM, we switched to DRM-free once they supported it. When given the option to do DRM-free or DRM, we always choose DRM-free. However, I'm not going to let my opposition to DRM prevent us from opening new channels. DRM makes sense in library checkout systems. Oyster is very much like a library checkout system (though the financials for the author are different, as we'll share at a later date). If Sony ever goes DRM-free, we'll switch to that. Thanks for the clarification re: Sony. I -am- going to let DRM stop me from distributing books to new channels, though. So at this point I'll opt out of both Sony and Oyster. Going forward I may end up just putting my books into the Smashwords store itself and opting out of the premium catalog entirely. If you guys could specify which channels use DRM and which don't someplace, or (better!) let writers specify whether they generally want to be automatically opted in to new channels...best of all, with an option to be opted into only new channels without DRM...it'd be very handy for those of us who have ethical/moral issues with DRM and the legislation that affects it. It's not just a business decision for some of us. Or at least it's not for me. Of course I have no idea what percentage of the authors using Smashwords actually care about this. Thank you for the clarification on DRM. Kobo had a DRM-free option for a while before they reached out to you on my behalf, that was available at publisher request. They added this option because it was asked for by publishers. All you had to do was keep asking. By default every publisher was enrolled in DRM even after the DRM-free option was there. This is the problem with Opt-In by default, and not providing all pertinent information up front. Please add a note to the channels page about Sony having DRM, as you do for library distribution. There are some people who would accept DRM on library loans who would never be willing to do the same for purchased titles. I would never distribute to Sony knowing now that they're DRM-only. I've been bitten by purchasing DRM-encumbered content from companies that later shut off their authentication systems. Even Adobe DRM isn't immune from this. When an Adobe Content Server licensee stops paying their fees, Adobe stops authenticating for them, even for previous purchases being redownloaded. Fortunately I was able to liberate my content by violating the law and using cracking software, but a customer should never have to resort to that. I'll sooner they never buy from me than risk that they might ever find themselves in the same position. With a 250K title strong catalog, Smashwords must be one of the biggest publishers that distributes to Sony, if not the largest altogether. Tell them you want DRM-free, even if you already have. The worst that can happen is they'll tell you No again. Or they might surprise you, as Kobo did, by already having an option available you didn't know about, or finally being willing to work on it. And if they say No, keep asking. Not for me, but because Smashwords customers deserve the best product possible, even when they buy it from Sony. Wired has an article on Oyster. http://www.wired.com/design/2013/09/is-this-netflix-of-books-the-next-big-thing-in-publishing/ From what I can tell readers will not get the books, but will have the ten most recent streamed onto their device. I imagine their will be a quick rush to look at a lot of books, then a settling down to read at a normal pace. From what we know so far, we get paid when someone reads far enough into the book to not be sampling. As to DRM, I think it's stupid and unenforceable for devices and publishers of any media, and harmful to users. I like my users. I don't buy DRM limited devices or materials, but I'll still upload to all places. If readers want to use a purposely pre-broken device that's their choice. They can have my books in that format. I'd advice them to buy a DRM free device instead. I just went back and reread the Wired article. Ten books will be available for offline reading. A guess is when you load an eleventh, one of the others has to go. So... what ever happened with this? Three weeks became five and there's no update, which is kind of disconcerting. Oyster seems to be up and running and supposedly gaining new books all the time, but no Smashwords integration information as of yet? I'd love to know what's going on and/or when to expect the full details of the distribution agreement. I'm also questioning what happened with Oyster. I see in the dashboard that 2 of my books have already shipped to them and all of my books automatically were included in distribution to Oyster, but I never received any information about this, no account alert or update as promised, and I can't find anywhere where the terms are or what we will get paid. My books were added without any permission or information on my end--when/how are we going to be updated about this? The long-awaited email with Oyster terms is now pulsing its way to the inboxes of Smashwords authors everywhere. @Michelle, what you see in your Channel Manager have been test shipments. The titles at Oyster will not activate until after this 3-day period following the delivery of my email which went out today. At the end of the 3-day period, we will send Oyster a new update which will include new title additions, removals (opt-outs) and metadata changes. Once they ingest that new update, then the books will begin appearing at Oyster. thanks! All I can think to add here, from the information you have sent us, is that not only your bestseller list but new titles and overseas titles lists be included. The world is flooded with US titles, but far too often the courtesy is not reciprocated especially when the printing is done in the US and distribution is done from the US. While I'm not pleased to hear that authors and publishers Amazon's payments have declined, I am comforted to know we are not the only ones. What gets me is if our revenues are declining so are Amazon's, so why are they doing this? Are they trying to drive their competition out business? If they did that our incomes would diminish even more. Of course there may be anti-trust issues, but who knows. As for Oyster, the email states: As a Smashwords author or publisher, you’ll earn 60% of you book’s retail list price whenever an Oyster subscriber reads more than 10% of your book, starting from the beginning of the book forward. How is this possible? An avid reader could easily read ten to fifteen books a month. Ten five dollar books equals $50, five times Oysters revenues. There must be something I don't know about but from the info I have the numbers don't work. @crusader, I'm not sure I understand your question or comment here. All Smashwords Premium Catalog titles that are opted in to Oyster will ship to Oyster. A sizable portion of our catalog is from authors outside the US, and many of our bestsellers come from outside the US. Our international authors have always been well-represented in everything we do. I completely missed the Oyster email. I was converting titles that had come off KDP Select in advance of doing a new title launch on Smashwords (before Kindle) to test out the pre-order function. I had tons of 'Your book is converted' emails from Smashwords and never noticed the Oyster notice until now. Sounds like a great idea, like select but without the excusivity. Just found the Oyster 'Opt in" button. Had to zoom out the page to see it. I noticed something while looking at the Channel page. Only one of my titles has gone to Oyster so far. I realized it was because I only have one book that hasn't been 'renovated' as part of the new launch. That's pretty cool. I like how you don't just ship the old version while the new one is pending approval. It's those little touches that show Smashwords' agility and commitment to continual improvement. Gotta agree with Dee. The numbers simply don't work or plug in. If the Oyster buyer’s fixed expense is $9.95 monthly and they read 5 books a month that are normally sold at a price of $5.00 each that’s a total of a $25.00 payout. Bingo, Oyster is out of business in a month because they’re paying out more than they take in. Even reducing the payout to authors to 50% leaves a payout of $12.50 a month. Bottom line the only way the figures are workable is with payouts in the pennies to authors. 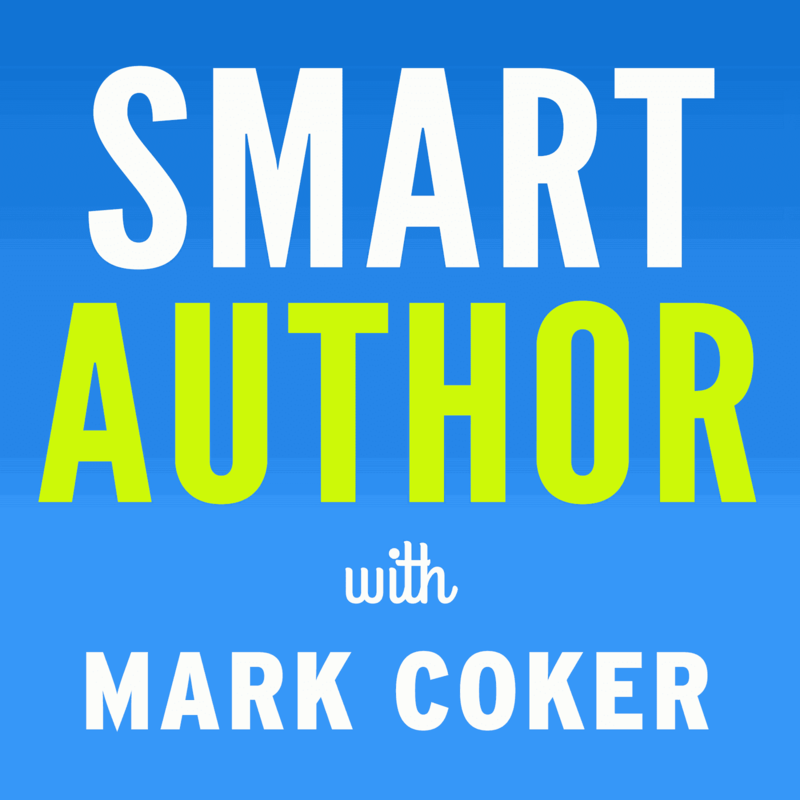 Since Smashwords makes it money from the sum and not the parts I’m sure based on this Mr. Coker is super gung-ho on the deal even if the whole concept fell apart in a couple of years. Show me the figures of how this works. Plus I never got the e-mail. Achilles, in a more recent blog post, I examined the business models of these subscription services more closely. Here's a link - http://blog.smashwords.com/2013/10/examining-business-model-of-ebook.html In a nutshell, they're betting that they'll lose money on the heavy readers, but make it up on the the moderate readers. There is another company that is getting ready to launch after the first of the year called NOKBOK.com. From my understanding, they will be offering readers unlimited reading for $4.95 per month. However, they are a little different from Oyster. 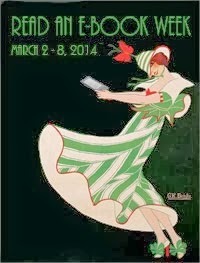 The site was created to benefit authors. They take all revenue from the site which consists of membership fees, advertising, book promotions etc and gives 60% back to the authors, 10% goes to charity and they retain 30% to run the company. The 60% is divided by the total number of reads per month for all books to get a price per read then your compensation is the price per read times the number of times your book is read. A book is considered read when the reader reads at least 20% of the book. Further, they are non-exclusive and is just another stage to present your material. I think there is something everyone is missing regarding these sites. When you are a new unproven author, who is going to put out $3-$5 on your book? The reader doesn't want to take the risk on not liking the book and wasting his/her money. With these sites, the reader can read 1 or 100 books at no incremental cost difference. Thus, they are much more likely to click on your book, read it and provide a review. With good reviews comes more reads and the cycle begins!